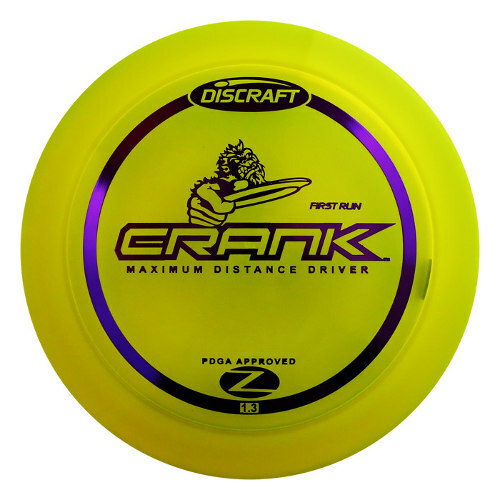 The Discraft Elite Z Crank is an overstable maximum distance driver (1.3). The Crank is wicked fast yet incredibly controllable and suitable for most skill levels. Its narrower rim fits more comfortably in the hands of the majority of players. It's a great disc golf driver for easier accuracy and big distance. Crank it out and watch as it slowly flips flat, rips down the fairway and slowly finishes on a chilled out hyzer. It's a very serious combination of speed, glide and control for serious disc golfers.